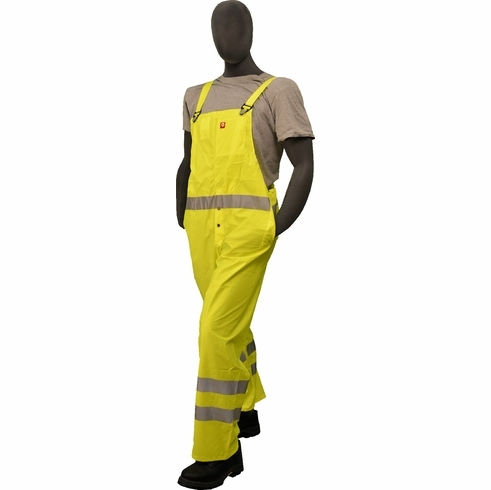 ANSI Class 3 Flexothane® high visibility yellow bib trouser. Inside pocket, fly with snap closure, elastic back. Flame Resistant. Fluorescent Yellow. Sizes: S-4X. Sold per EA.